AYO Almond Yogurt | We put our heart and soul into every sweet, creamy spoonful. We put our heart and soul into every sweet, creamy spoonful. We make delicious yogurt, but we’re not like other yogurt makers. Why? We don’t use dairy or soy or coconut. We’re all about almonds, which we grow at our fourth generation family farms in California’s sunny San Joaquin Valley. 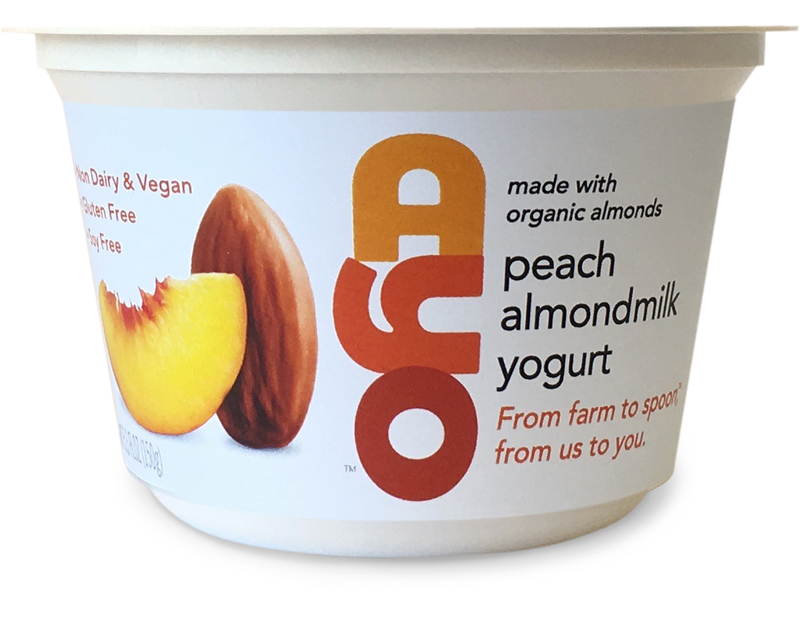 We love and nurture our almonds, and then we turn them into delicious, dairy-free yogurt blended with organic fruit or organic vanilla. We care about every single step of the process, from our almond orchards where everything starts, to picking, then churning and culturing our yogurt. The result is luscious, probiotic-rich yogurts. They’re loaded with a lightly toasted almond flavor and pure goodness. So grab a spoon, get a taste, and let our organic almonds make you smile. Four generations, and still going strong. Our family has had farms in California’s sunny San Joaquin Valley since 1913. Over 100 years later, we take pride in producing organic California almonds, which we use to make our AYO almond yogurt. We’re forward-thinking farmers who’ve learned from the past. And as stewards of the land, we’re passionate about introducing better-for-you foods the right way: with clear traceability, vertical integration and sustainable practices. 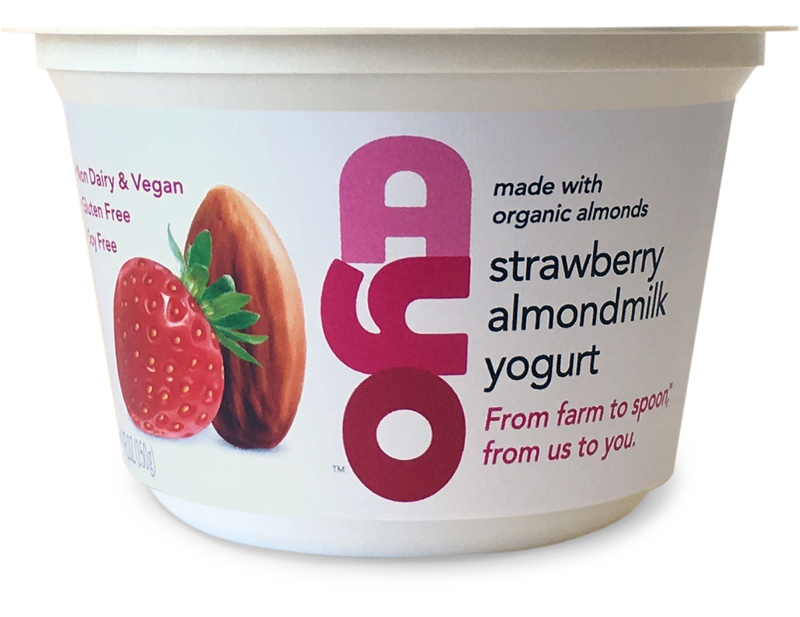 Our commitment to innovation and farm-to-spoon philosophy has resulted in the creation of AYO yogurt. 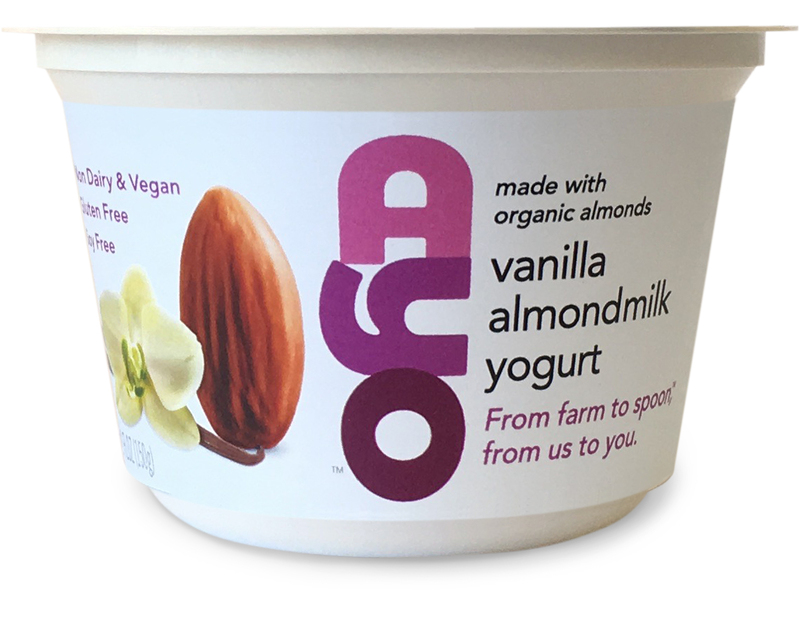 What makes AYO different from other almond yogurts? 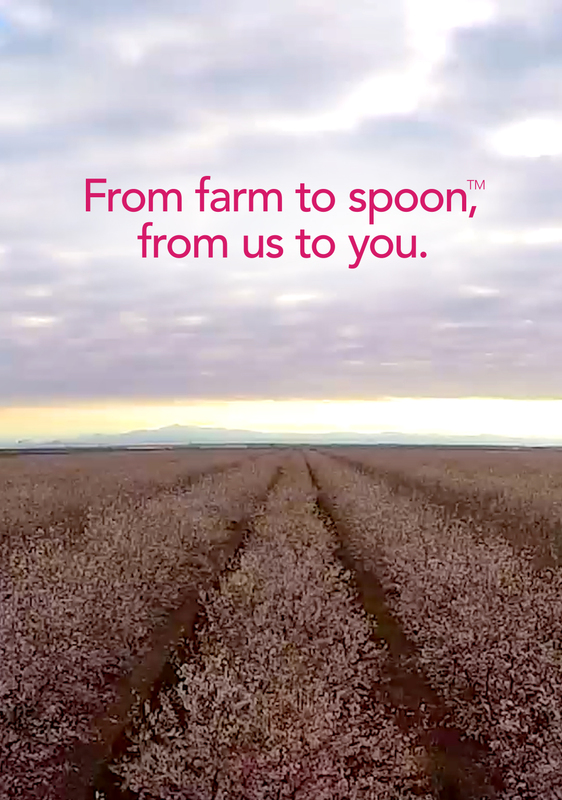 We are the first almond milk yogurt that sources almonds directly from our very own family farm. What ingredients are in AYO Yogurt? What does the Billings Family have to do with yogurt? We started making yogurt to bring our delicious organic almonds to more people. What better way to consume nutrient-rich almonds than in a creamy, rich dairy-free yogurt! 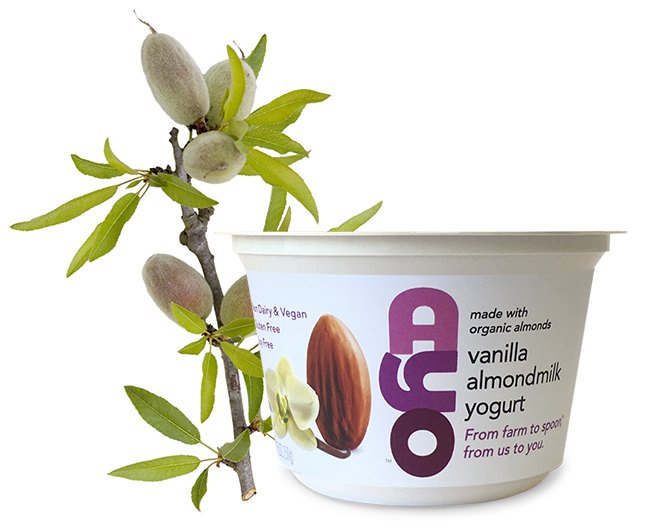 We are the only brand of almond milk yogurt that grows organic almonds. Others simply buy almonds as a commodity, without tracing their origin or farming practices. Is AYO 100% plant based? Absolutely. There is no dairy in our almond yogurts, and is safe for those who choose to avoid dairy products or are lactose-intolerant. Yes, AYO yogurts are vegan. Enjoy! I’m lactose intolerant. Can I eat AYO? Absolutely! There is no lactose in our yogurts. Yes it is. Check the bottom of the cup. Is it true that almond trees require more water? Nope. 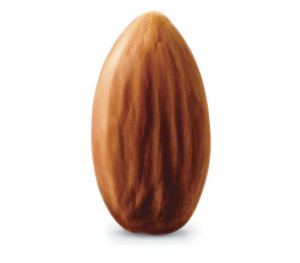 To learn the facts about almond agriculture and water use, the Almond Board of California has a factsheet worth referencing. Where can I learn more about almonds grown in California? Where can I find AYO? AYO Almond Milk Yogurt is brand new. A store finder is coming soon. If you don’t see it in your local store, ask your store manager to carry AYO. We will soon be available nationwide.